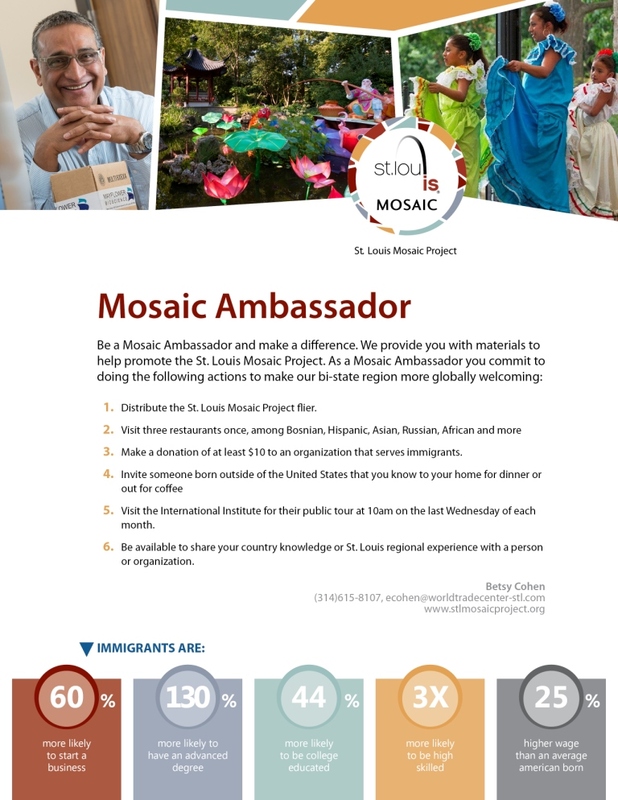 Mosaic Ambassadors are individuals helping St. Louis become more globally welcoming. You may see them eating at eclectic restaurants, visiting the International Institute, or sipping tea with someone of another nationality. 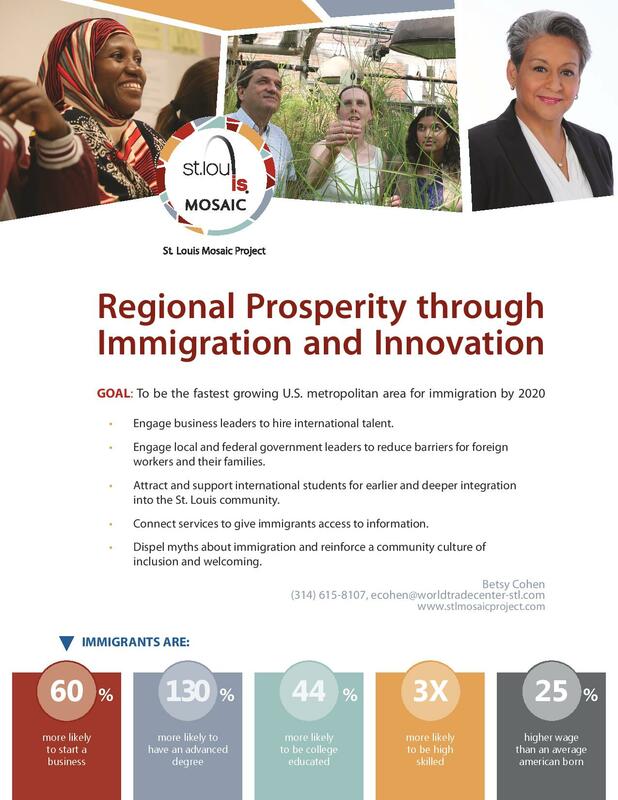 It’s simple and fun to make a difference in your community.